GRANITE ZONE LTD guarantees the registered owner of the installed GRANITE ZONE LTD product against any manufacturing defects for its LIFETIME from date of installation under the terms and conditions laid out herein. The validity of this Letter of Warranty will only take effect on WARRANTY REGISTRATION within 60 days of product installation. To register a warranty, customers must send an email to warranty@granitezone.co.uk along with their name, address, date of installation and invoice number. Please retain proof of purchase. GRANITE ZONE LTD reserve the right to decline a in the preceding paragraph have not been met, or or incomplete. 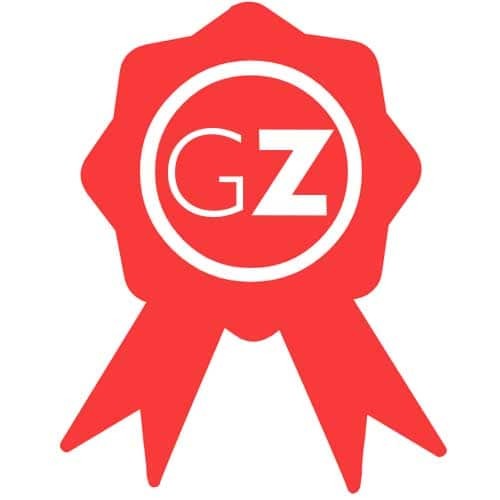 This warranty obligates GRANITE ZONE LTD to repair or replace any defective product, or make right errors occurring due to fitting issues, for the LIFETIME of the installation. Replacement products must have the same characteristics (thickness, colour, etc) as those originally purchased by the customer, unless in the case of a product being discontinued. In this case, it would be replaced by a product with similar characteristics. This warranty covers GRANITE ZONE LTD granite and quartz surfaces, installed as countertops, flooring, cladding, and wall covering permanently installed in the interior of a property of the warranty holder. It is vital the choice of colour and nish has been analised prior to the closing of purchase, as any modi cations of these choices will not be covered by this warranty. This Letter of Warranty is in all cases reliant upon the strict adherence of the customer to upkeep and maintain the GRANITE ZONE LTD product as detailed in the guidelines provided alongside the installation. Any damage which is directly or indirectly caused by work, repair, or any other intervention carried out by third parties not relating to GRANITE ZONE LTD. Including: problems cause by incorrect nish, modification, or manipulation of the original installation, performed by third parties not related to GRANITE ZONE LTD.
Any damage which results from improper use, including, but in no way limited to: (i) using the product for means other than intended; (ii) use of product in a way that disregards technical or safety standards; (iii) failure to follow user and maintenance guides; and (iv) exposure of the product on the exterior of buildings. Any damage caused by natural disasters, by interaction from other products, or any other cause beyond GRANITE ZONE LTD’s control. Colour/tone variations derived from natural changes over time, which occur in the different components of the product. Cracks and chipping on the surface of the installation. Cracks and chips are not considered an indication of defective material. The main causes of cracking are: movements, excessive weight placement, scraping, bumping, or heat application directly on the surface. Any incidental damage, expense, or loss other than that of the installed product itself. Including, but not limited to, any damage suffered to other products/installations, or any additional repairs required on plumbing, masonry work, or electrics in order to repair or replace a GRANITE ZONE LTD product. This shall be the sole responsibility of the customer. Any damage which occurs during the period in which the claim is being processed and/or repaired. This extends, but is not limited to: harm and loss of pro t affecting professional, industrial, commercial, or merely living activities suffered by the customer or any third party. Damage resulting from exposure of the product to intensive and continuous use over long periods of time, such as: warping of flooring, loss/decline of aesthetic characteristics, and discoloration. Problems, damage, or inconvenience from the generation of static electricity or the use of products designed to reduce/eliminate static electricity. Damage arising from de cits or omission in the technical projects on which the buildings are executed, in which GRANITE ZONE LTD products are installed. Differences between samples/photos of any GRANITE ZONE LTD product and the true installation are also excluded. As are spots or stains produced by components of the material and polish defects, since GRANITE ZONE LTD do not under any circumstances sell defective products. After due verification of your claim GRANITE ZONE LTD will proceed to replace or repair the material as necessary.